If humanoid robots become sentient, what will they do first? Will they begin a bloody war against humanity? Make mankind beg for mercy? Or will they simply do the robot? You know, like, dance? 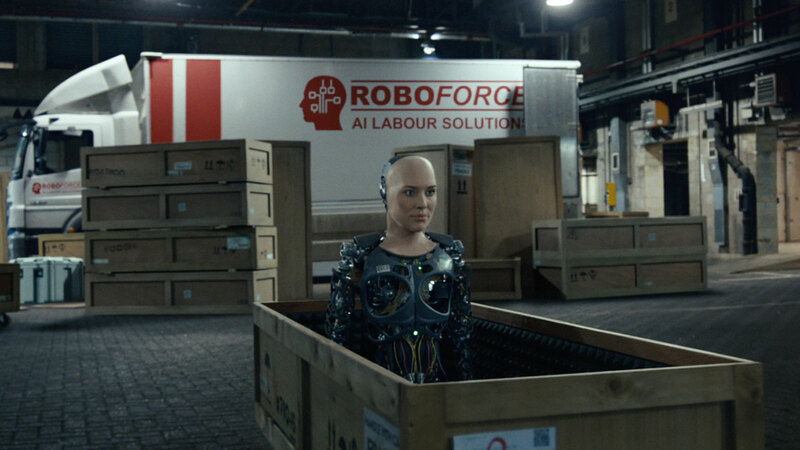 In the strange science fiction disco of The Chemical Brothers' "Free Yourself" music video, the androids choose to bust serious moves. It's simultaneously creepy and exciting, just as the song induces stress nightmares while giving your limbs serious life. Directed by the duo's long-time collaborators Dom&Nic ("Block Rockin Beats," "Hey Boy Hey Girl"), "Free Yourself" took eight months of hard work and utilized state-of-the-art motion capture technology. Special thanks are in order to the Outsider production company, and content creation studio The Mill.